Rush hour might just be the worst thing. The EU agrees which is why it's helping to fund a project to build an automated personal helicopter which would fly above the traffic removing precious hours stuck in traffic. 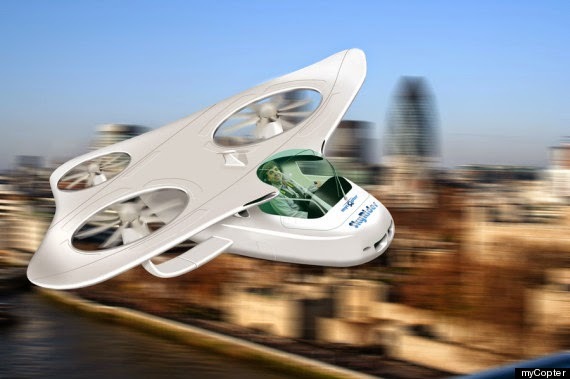 Called myCopter the proposed Personal Aerial Vehicle (PAV) would be a cross between a helicopter and a car letting a user simply take off and fly around without needed any of the pesky barriers in place at the moment like air traffic control. The project involves universities from all over Europe including the University of Liverpool and looks at turning flying into a task about as complex as driving a car. To do this the team in Liverpool is creating new automated technologies that would include features like obstacle avoidance, path planning and formation flying, essentially allowing you to sit back, enjoy the view and never have to worry about being stuck in traffic again. Speaking on the myCopter website, the research team admit they have several large hurdles to overcome first. "An effective human machine interface (HMI) and Training needs to be created, full or partial autonomous behaviour of a flying vehicle needs to be established (which reduces the risk to the pilot and enables the PAV to be flown by the average person), and finally the social and economical impact of a PAV and its ideal design for acceptance by society at large needs to be investigated." In case you're thinking this will be relegated to the realms of science fiction, the EU has actually just paid a $4.7 million grant to the project in the hopes of creating not only a prototype but a fully functioning user interface which would let almost anyone fly it. Presumably at some point there will be a hands-free version, if the EU's 'Project Brainflight' is anything to go by.